Because of my blog posting schedule, it will be quite a number of weeks before you read this but, as of the time of this writing, my Chinese Master Sauce project has been underway for a little over two months. 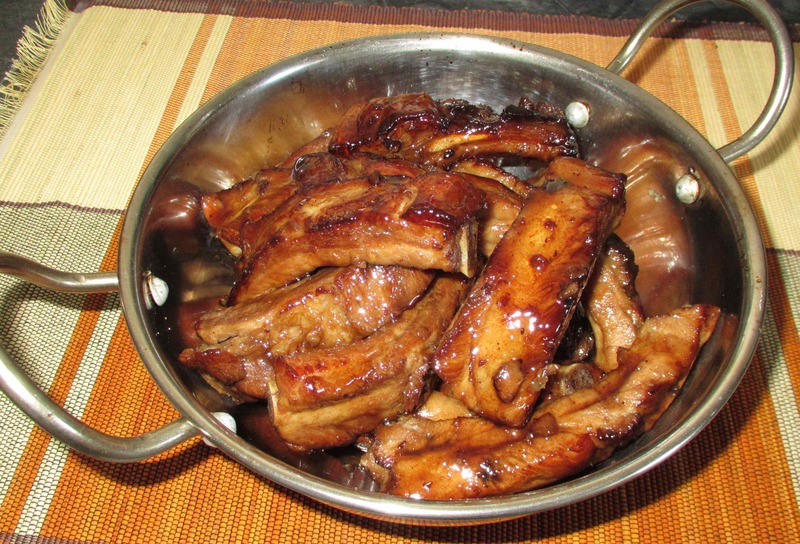 After initially making the sauce, I have used it for Red-cooked Pork Hocks, and a Lu Shui Chicken recipe, and the flavor has really developed nicely. 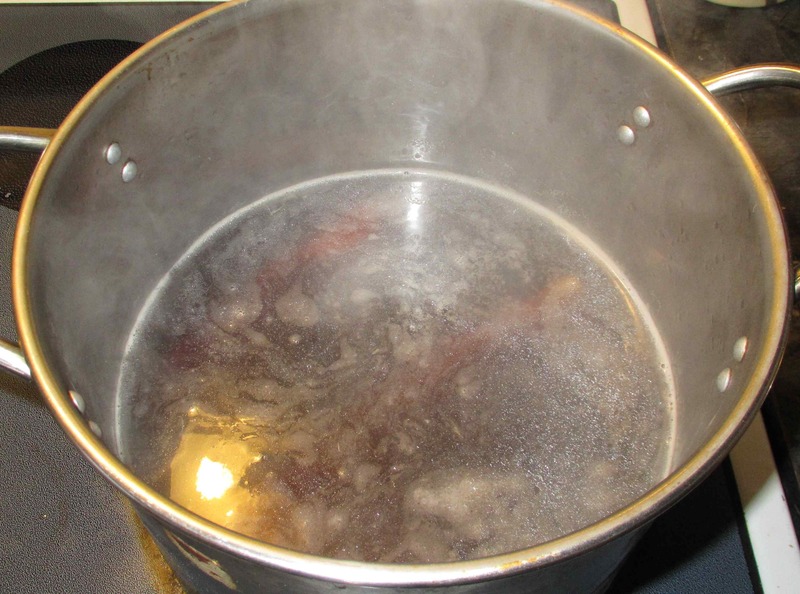 As described in my earlier posts, I have been bringing the sauce to a boil at fairly regular intervals to keep it fresh and, a couple of times, I have simmered some ingredients in it like ham trimmings, mushrooms, onion and celery to further add flavor. I have not, as yet, found it necessary or desirable to replenish the spice seasonings, or add more soy, but I have added the odd splash of rice wine and replenished the water a little to keep the level up. 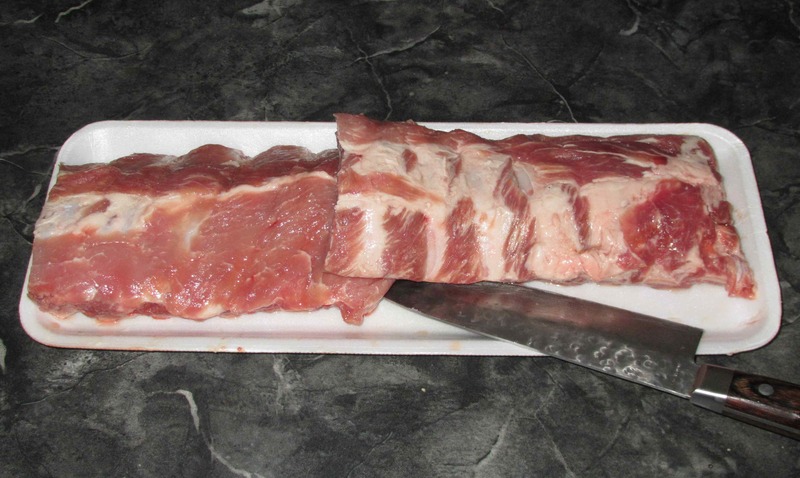 These are the ribs I chose. 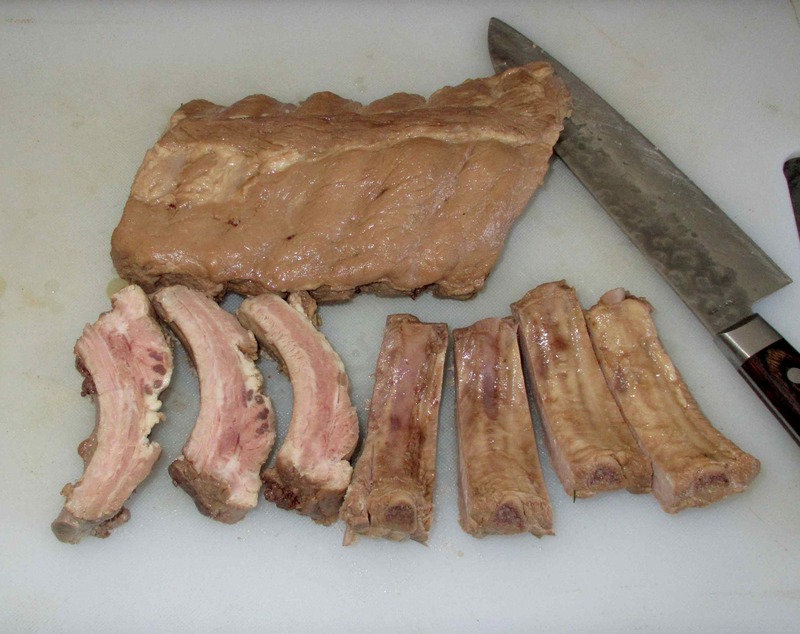 Most westernized Chinese restaurants will feature a garlic sauce style of rib but they typically use side-ribs cut into one or two inch lengths and then cook them to the point the meat has no texture and very little flavor other than the overly sweet sauce they are bathed in. Of all the westernized Chinese style of ribs I have eaten, the best were at a little place (now closed, I believe) in Woodstock, New Brunswick. They used back ribs (as I am), left at least 4 inches long, and the sauce was only mildly sweet with a nice malty depth. Best of all, the ribs were still delightfully chewy when served and needed to be gnawed to get the very last bit of meat. I am not trying to precisely duplicate those ribs with this experiment, but I do want to preserve the spirit of them in the final result. 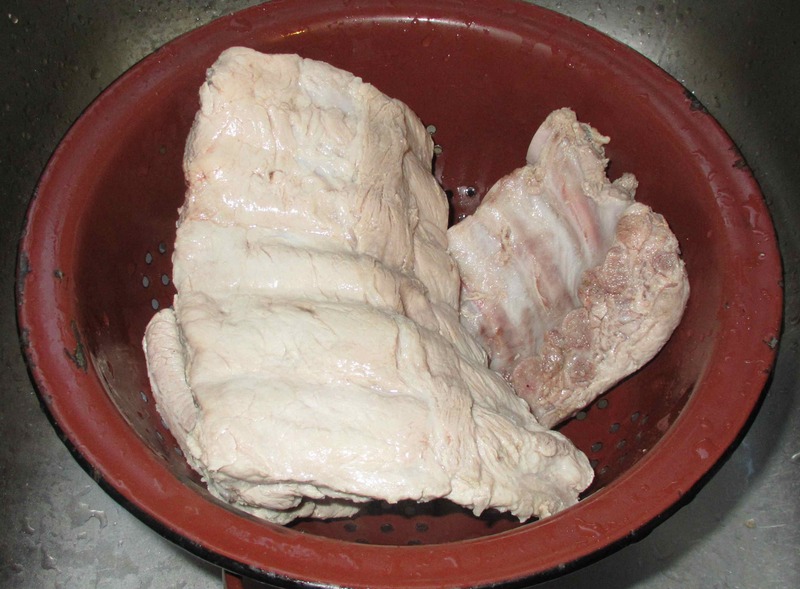 The first step is to blanch the ribs to remove excess blood and impurities. They only need a few minutes in boiling water but it is important that you rinse them off well in cold water afterwards. For the last part of the cooking, I will be cutting the ribs into individual sections but, for now, I have simply just divided the rack into two so that it will fit in the pot. The poaching operation is very similar to the one used for my ‘Lu Shui Chicken’ in that the master sauce is brought to a boil, the meat dropped in and then, when the sauce comes to a boil a second time, the pot is covered, the heat turned off, and the meat left to cook as the liquid cools. The only difference here is that, rather than just turning off the heat, I physically took the whole thing off the burner and let the boiling subside before covering the pot. This picture was taken before the liquid came to a boil a second time. 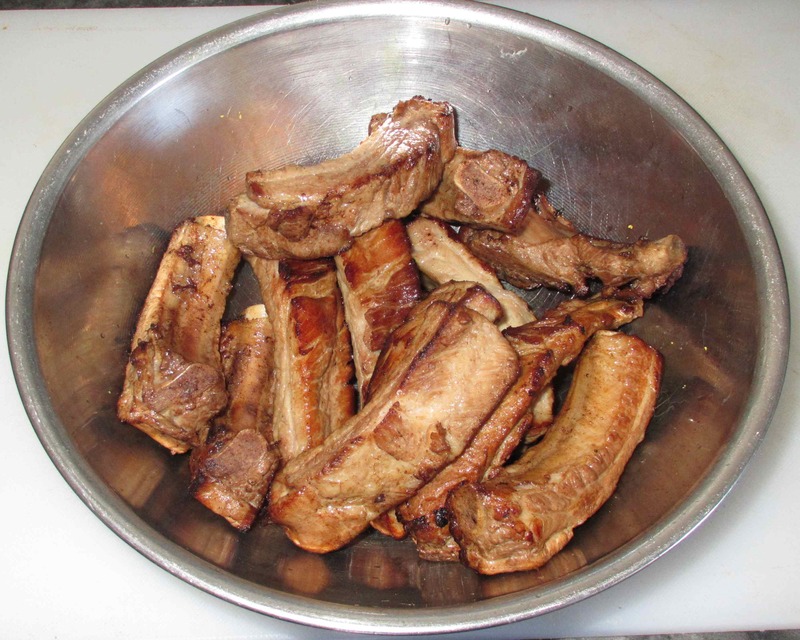 You can see that a little scum has formed on the surface but there is WAY less than there would be had the ribs not been pre-blanched and it can easily be skimmed away with a single swoop of the ladle. After the pot cooled, which took several hours, I put it into the fridge to chill and let the flavors of the sauce penetrate the meat overnight. The following morning I removed the ribs from the sauce. You can see that they have taken on a little color from the steeping and that the meat still retains a little pinkness where it has been cut. 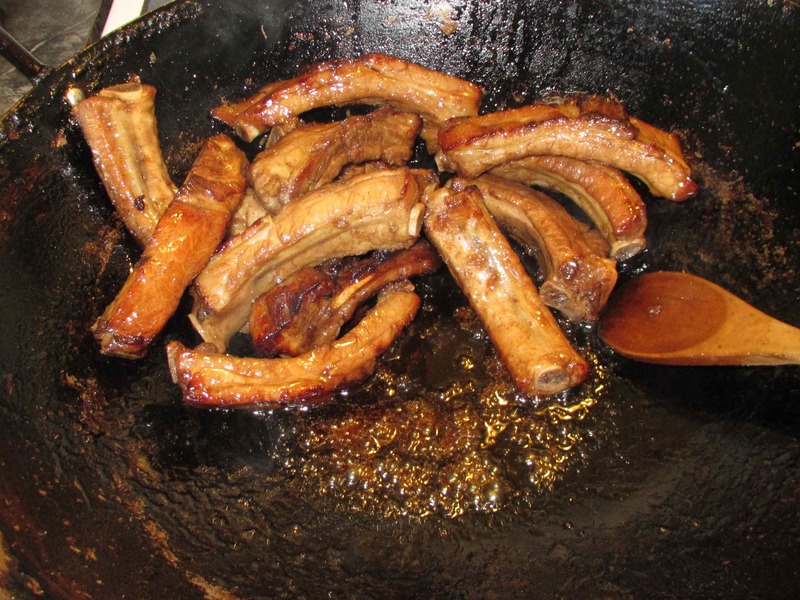 The next step was to quickly fry the ribs in about a cup or so of oil in the wok. I did this in batches, just 4 or 5 ribs at a time, and used a fairly high temperature for just long enough to give a nice browning to the outside. The final step involved making a glaze using some of the master sauce. Although the sauce was fairly sweet from the original sugar used to make it, I did not feel it was enough to reduce to a nice syrupy thickness and so I added about 3 tablespoons more to the cup or so of sauce I used and then included an equal amount of Chinkiang Black Vinegar to add a tangy balance. I brought this to a foaming boil and then cooked it down until reduced by about two-thirds. I wasn’t entirely sure what to expect with this experiment. The ribs were tender, without being too overdone (which I hate) and the flavor was very good and not too sweet. Indeed, the result here was very like the restaurant ribs I mentioned above with the added bonus of the master sauce spices providing a nice background layer of taste that was subtle but still quite rich. Those ribs have a wonderful mahogany color. I should try this. 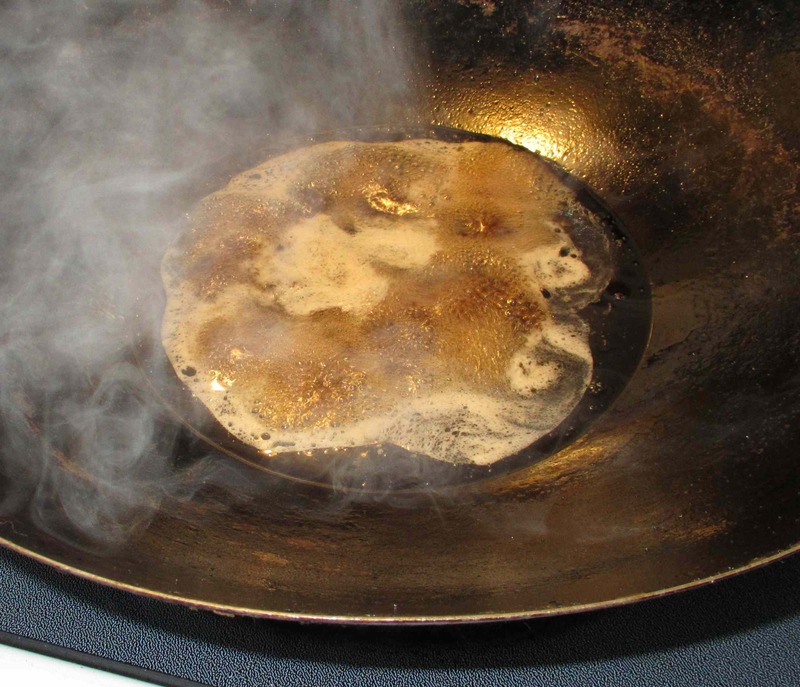 I would throw the master sauce in the freezer and then every month, like clockwork, I would bring it to the boil and add a few broken sticks of cassia bark and liquids of my liking and then freeze it again. A few drops of dark soy adds a bit of depth. Thank you 🙂 Hand is still tender and swollen but it is clearly on the mend! That looks great too, John! I wish that I had the room for a master sauce either on the stove or in my freezer. I guess it’s not even worth it to make in smaller amounts?